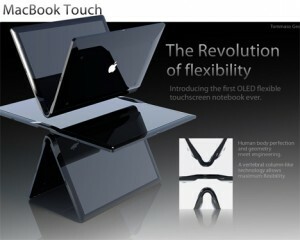 2 The long-awaited Apple tablet is due out in March-Apr 2010. If it does appear in 2010, the most fascinating effect will be on the burgeoning e-reading market. 4 The life recorder. Hang these on your neck and the quantity of personal data will leap, capturing photos, video, sound and location data, like a personal black box. 5 Flexi-displays, Wistron is rumoured to be launching an e-reader next year with a flexible, pull-out display – heralding a new era of affordable and foldable electronics.